Cayuga Lake is a beautiful sight to see and is great to experience by water! Once the weather is warm enough head to the water. It’s nice because the water doesn’t need to be swimming temperature to enjoy – fun to explore spring through fall (~ May-September, I recommend calling ahead if you are not sure if they will be open yet). Here are a few places to rent water going equipment in the area. All have reasonable rates so I recommend choosing based on where you want to depart from. 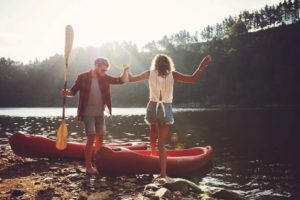 A great idea is to start at the Farmers Market on Saturday or Sunday and grab something for lunch, hike at Taughannock Falls State Park or Robert H. Treman State Park then spend a couple hours on the lake culminating in a dip in the water! Visit our Favorite Wine Tours blog that includes our favorite boat tours. Puddledockers Kayak Shop – Across from Greenstar’s store on Buffalo St. right as you come into Ithaca. A great location to go and explore the inlet and lake! Convenient to get to and go to dinner in Ithaca afterwards. The inlet is about 2 miles from The journey to where the lake meets the inlet is about 2 miles so if you would prefer to be on the lake immediately then Paddle-N-More might be preferable. They operate from Taughannock State Park at the North Point entrance, Meyers Park in Lansing on the east side of the lake (the inn and Taughannock are in the west side), and Stewart Park in Ithaca. Also easy to reach depending what else you want to do that day. So bring a water bottle and some sunscreen and enjoy! All locations will provide a life vest and paddle, and some basic safety information. Ask if they have a dry bag to keep your belongings in. 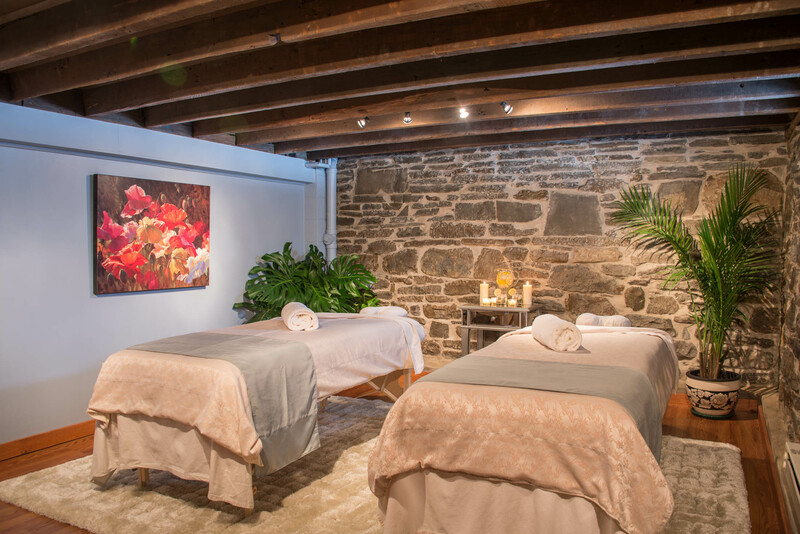 Erase the stress of the day with a visit to our deluxe spa. Choose from among the many services we offer: work out the knots with a therapeutic massage, detoxify in our state-of-the art sauna, or restore your energy at our oxygen bar. Disconnect and replenish your spirit in the Serenity Room, where you’ll leave your cell phone and the stress of the world at the door. Too relaxed to head home? Extend your stay. Book one of the two guest rooms located upstairs from the spa – the Cayuga Suite or Seneca Suite. Or, if you prefer or need more space, we have additional rooms available next door at the Inn at Gothic Eves. Garrett’s Brewing Company in Trumansburg!